Today, calls take place on many devices - PC, tablet and mobile phone. 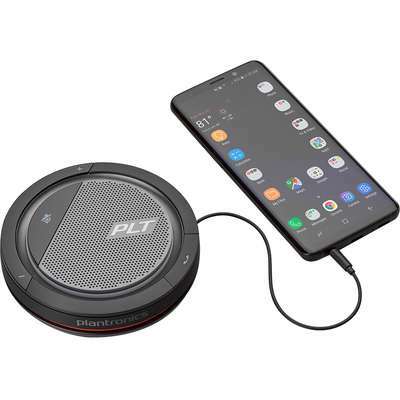 With ports for both 3.5 mm and USB-A or USB-C, Calisto 5200 personal speakerphone enables you to connect to any device quickly and reliably. You can even merge calls between devices to stay truly connected to colleagues and customers. 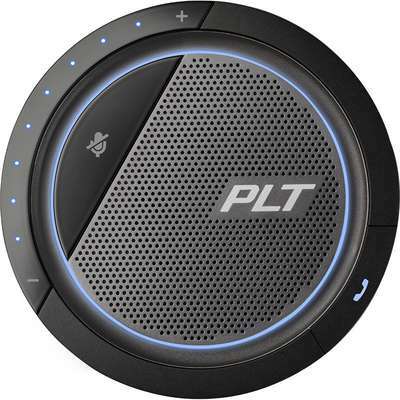 Hear and be heard, even when you're working from a remote location. A full-duplex 360° microphone makes your voice clear from up to 10 ft/3 m away. Calisto 5200 meets Microsoft Skype for Business specifications optimized for group conferencing. It's even great for multimedia. You're always in control of your calls with Calisto 5200 personal speakerphone, thanks to simple controls and visual indicators for call, volume and mute. Multi-language voice alerts keep you informed of your status, including an intelligent mute alert if you try to talk while on mute. And the automatic power-off function conserves battery life. 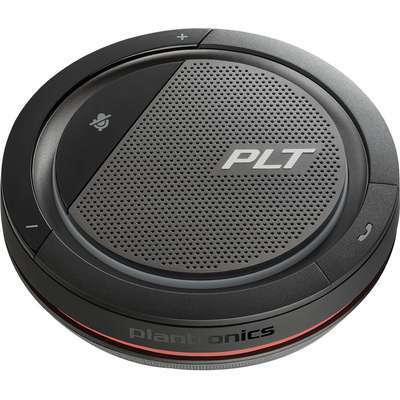 Calisto 5200 is supported by Plantronics Manager Pro, a Software-as-a- Service that is sold separately. Use Plantronics Manager Pro to manage headset inventory, monitor usage and maintain devices. With actionable insights from Plantronics Manager Pro, IT can improve business processes, employee performance and compliance.